drupa 2016 is off to a BIG start for locr! We opened the show by collaborating with EFI to produce a map that measures 7.5 meters long and 5 meters wide. 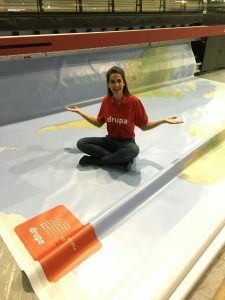 This world map might just be the largest map ever printed at drupa. 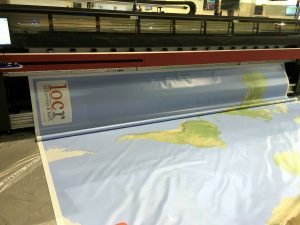 The creation of the map began with locr. Using open-source geodata and our proprietary cloud-based map creation and rendering system, locr created the map using parameters that control the coloring according to altitude, latitude and other geographical features. The level of detail included in the map is also completely data-driven, showing towns and cities in every country of the world in their precise geographical location and in multiple typographic scripts for different countries. 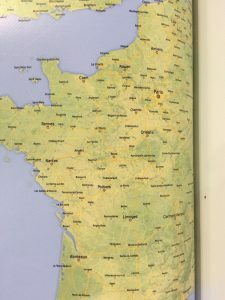 We sent the map, which is a single high-resolution image that is 59054 pixels long by 39369 pixels wide in one 220Mb jpeg file, to EFI. 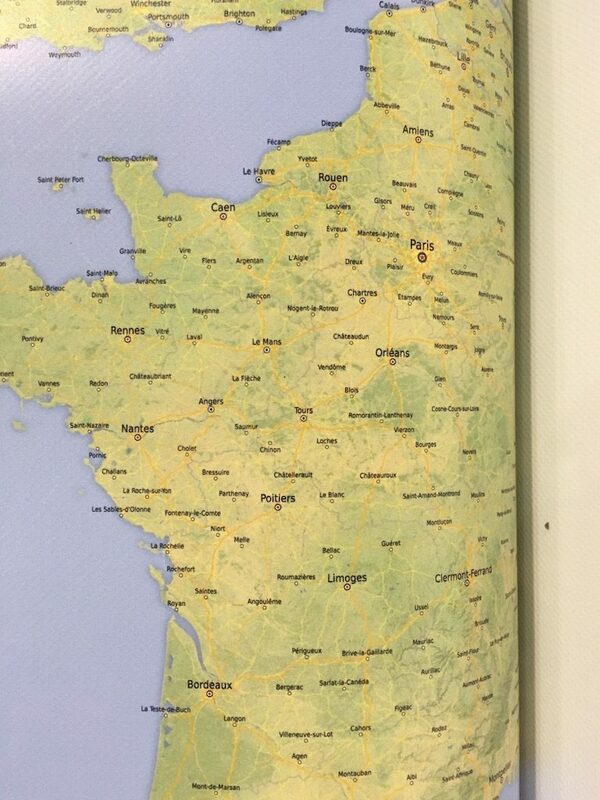 And on Monday, the final map was printed using EFI’s super wide inkjet printer. You may not need one that is 7.5 meters long, but maps can play big role in making your next marketing campaign a success! Maps add a level of personalization that helps to improve engagement and response rates. Email us to learn more. If you are at drupa 2016, visit locr in Hall 07 / B03 in the drupa innovation park to see (smaller) maps in action.